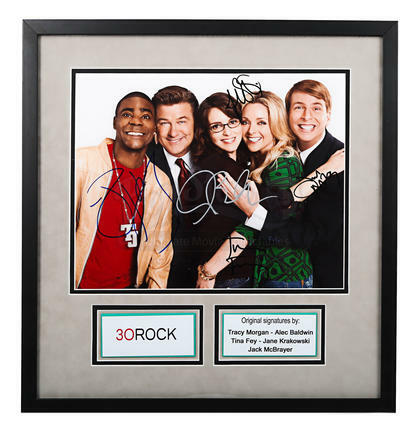 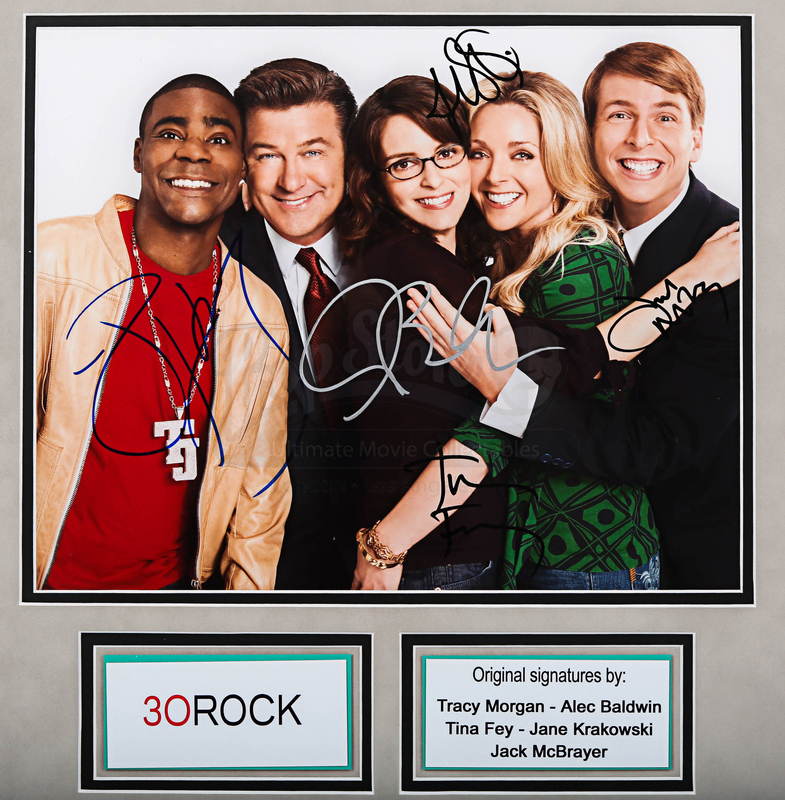 A framed and signed cast photo from Tina Fey’s hit television comedy 30 Rock. 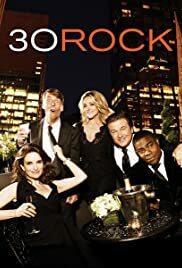 Liz Lemon (Tina Fey) is the head writer of sketch comedy show ‘TGS with Tracy Jordan’, and must constantly deal with her arrogant boss Jack (Alec Baldwin) and two difficult stars, Tracy (Tracy Morgan) and Jenna (Jane Krakowski), without losing her mind. 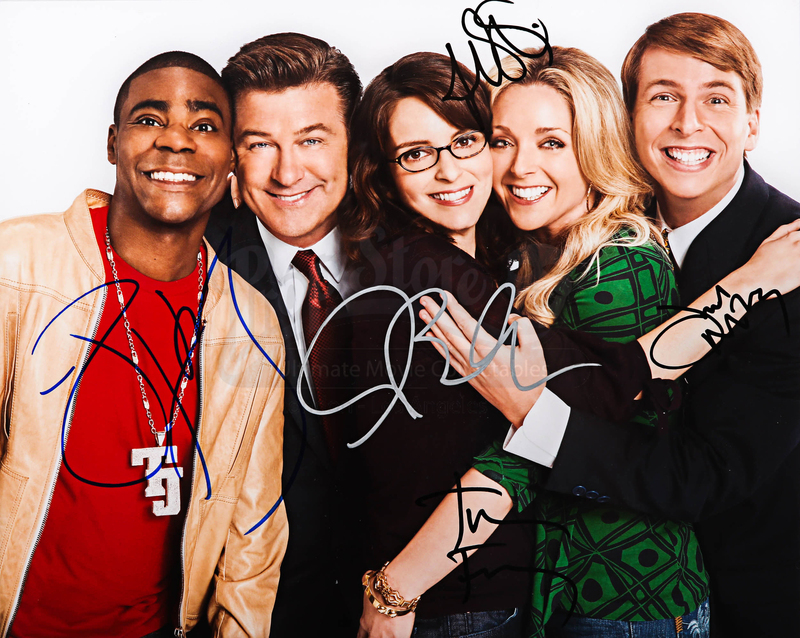 This photo has been signed in marker pen by five of the principal cast members: Tina Fey (Liz Lemon), Tracy Morgan (Tracy Jordan), Alec Baldwin (Jack Doherty), Jane Krakowski (Jenna Maroney) and Jack McBrayer (Kenneth Parcell). 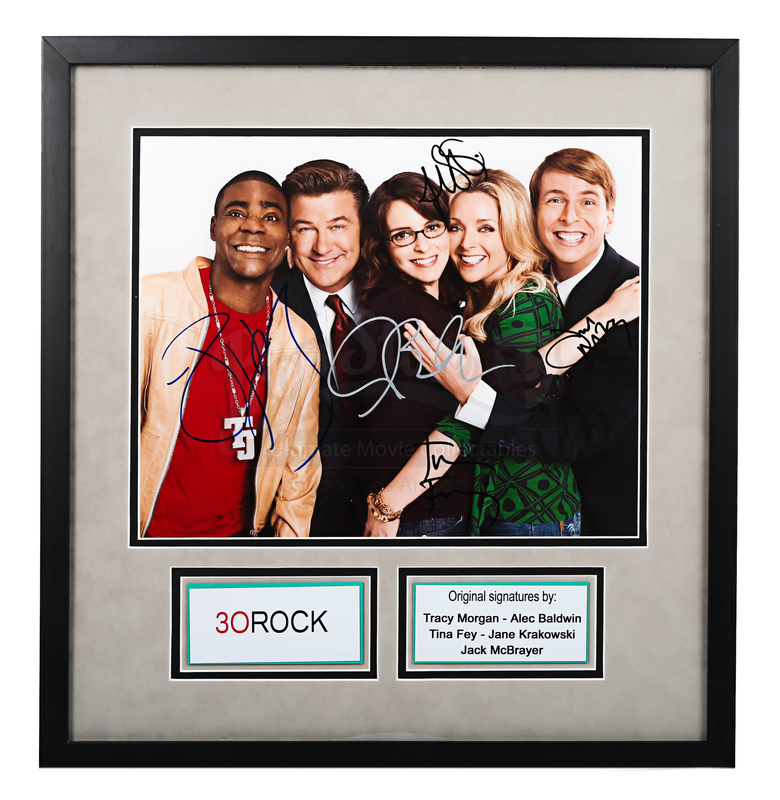 Set in a metal frame under acrylic, this custom-built display also features the show’s logo and a little plaque listing the names of the signatories. Materials: Ferrous Metals, Card, Acrylic, Paper.